SCOTT TWP. — The smell of sawdust, the pounding of hammers and the buzz of a circular saw filled the air at Mountain Sky as volunteers resurfaced one of the two outdoor stages there. The venue, situated on 117 acres, has been a slow but steady work in progress since around the time it opened in 2013, said Mike “Ragu” Rogowski, president of its board of directors. Soon, its board of directors will take another step by seeking to become a nonprofit organization. The move would help them in applying for grants for musical education for children, such as guitar and percussion clinics, Rogowski said. They plan to file officially for nonprofit status in the coming weeks with the goal of becoming a nonprofit later this year. Mountain Sky now is incorporated as a limited liability company, or LLC. It is not uncommon for LLCs to seek nonprofit status, said Wanda Murren, communications director for the Pennsylvania Department of State. Normal processing time for applications is two days, though the time varies depending how many applications are received and processed, Murren said. Nonprofit status makes an organization eligible for certain benefits, such as state sales and property and income tax exemptions, according to the department’s website. said. Mountain Sky leases the property from a church, Rogowski said. Churches are also exempt from paying property taxes. Members and shareholders of nonprofits cannot be paid beyond salaries and reimbursement for expenses. The organization plans to offer 1 million shares to longtime volunteers, but they won’t be available to the public. Nonprofits in Pennsylvania do not pay dividends like for-profit companies. Nonprofit shareholders have voting power to make decisions unless stated otherwise in the organization’s bylaws, according to state law. Pennsylvania is one of a few states that allow nonprofits to issue shares, but it’s rare for nonprofits to do so. Those that do usually issue shares to a group of founding members as a way to govern the nonprofit. Becoming a nonprofit has been a goal since the venue opened, Rogowski said. He and others involved at Mountain Sky have long been interested in providing musical education opportunities because of funding cuts in arts and music programs at schools. On top of musical education, Rogowski said hewould like to pursue agricultural educationat the site. He partnered with Brookvalley Farm, a Fell Twp. family-owned farmstead, for winter festivals at Mountain Sky and is working with the owners to explore more opportunities. 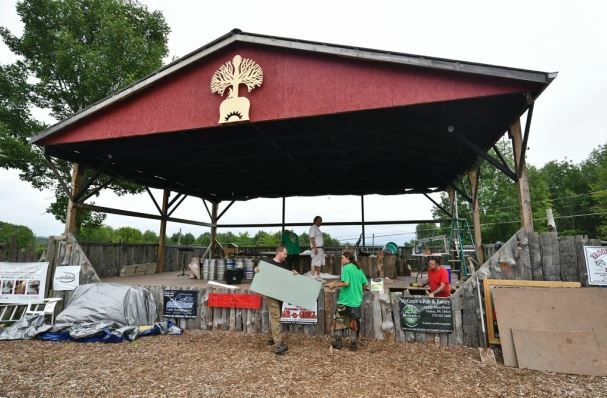 There is an old greenhouse on the property that could be renovated to illustrate farm-to-table concepts, said Laura Duda, an owner of Brookvalley Farm and one of five members of the Mountain Sky board of directors. 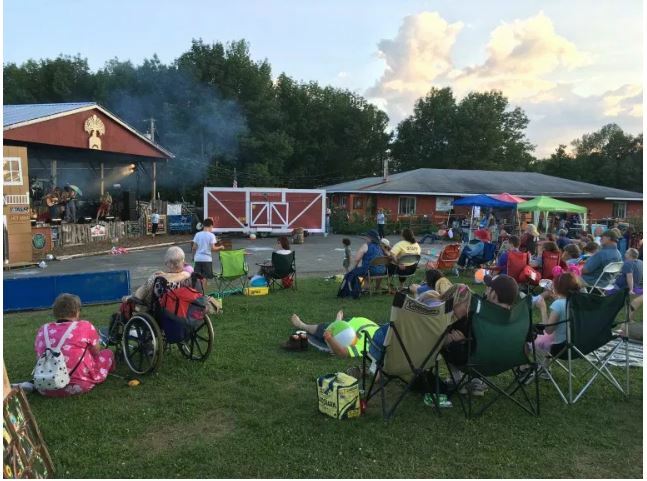 The size of the property lends itself to other uses, like creating horse, biking and hiking trails, a community garden and nature camps, Duda said. Becoming a nonprofit opens the door to raise funds faster for programs, she said.